Thank You!…for your inquiry into our design and planning services. Please take a few minutes and read about our design services, that are outlined below and explain the benefits of great design! We are a resource for eliminating remorse that comes from hindsight disappointments for what better planning could have accomplished! 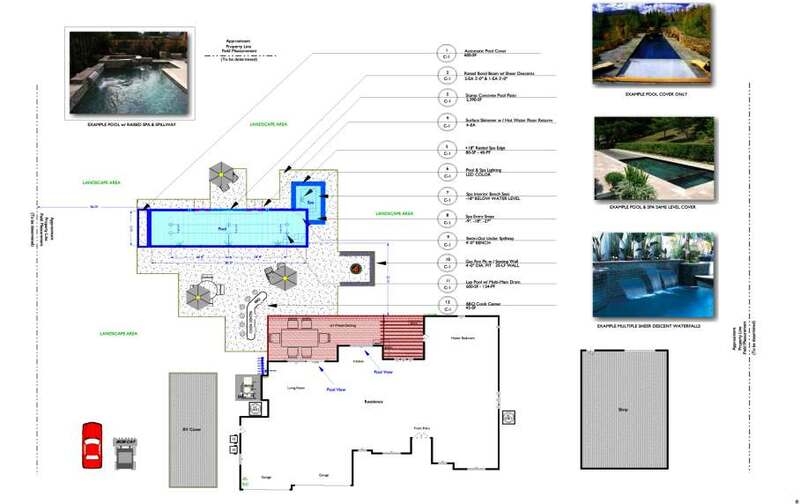 Our approach to designing and building can save you $1,000′s in energy costs, maintenance expense and chemicals treatment during the life of your pool. If you desire accurate planning that is connected to the truest meaning for the value in a “price” then you will need a portrait of those requirements in order to evaluate anything tangible. There is value in proper planning and “free designs” do not offer greater value, as that superficial approach is only intended to be a sales tool of which you may be paying for the “costs” of “free”… for years to come! This introduction will be referencing several of our website’s linked web-pages below in order to provide you with more detailed information about our planning efforts. These links will further explain our focused efforts at defining your outdoor living environment expectations on your plans, first! Each link will be a blue bolded underlined heading of which you can “click” upon, in order to go to the subject specific appended informational. Our design fee structure is based on 2% of our Estimated Retail Construction Value (ERCV) for your project, which leaves you 98% to be invested in it’s construction. We use your budgetary expectations combined with our multi-generational experience in construction, in order to equate a value for the size and scope of a project. The design will be according to the terms and conditions stated in our Standard Design Agreement (SDA). Click HERE to review our SDA (use your Browser’s back arrow to return to this page). The ERCV will be based upon our historical experience having designed, estimated and constructed outdoor living environments for over three decades. Our initial estimate will be assessed for the value of the work being proposed. We will need a copy of this document, which will provide us information referencing several important aspects of your lot i.e. Building Set-Backs, Public Utility Easements, Lot Dimensions, Etc.. These are things that can restrict the space available for building of which we will need to know prior to engaging the design process. In order to correctly exhibit any proposed development we must familiarize ourselves with any of these restrictions so that the proposed development does not conflict with the officially sanctioned conditional use of the property. Click HERE to see a sample Plot Plan (use your Browser’s back arrow to return to this page). Our approach to planning an outdoor living environment involves a few sequential steps for getting your ideas and our knowledge and experience rolling on the same page! 1st Contact our office at (800) 766-5259 and make arrangement to secure a 50% design retainer. 2nd Email us a legible pdf. or jpg. 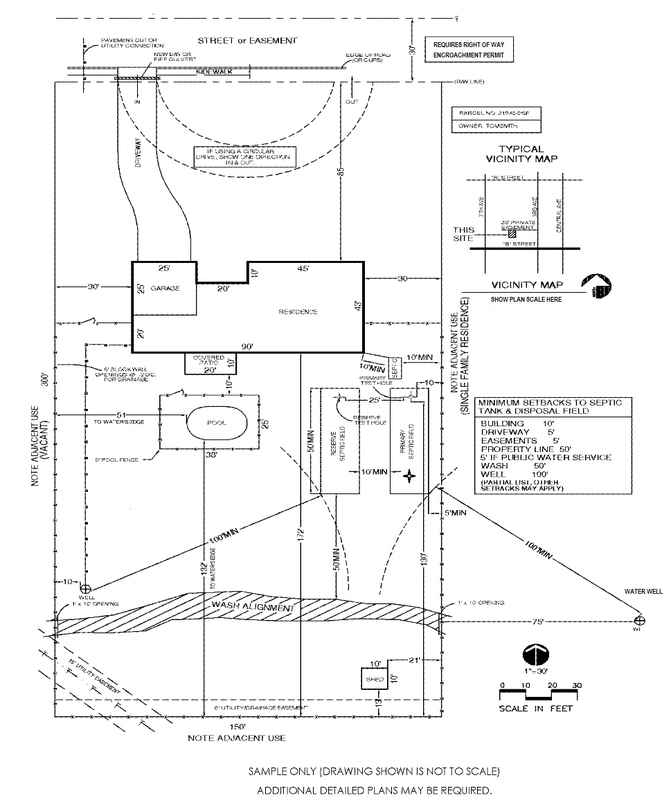 file copy of you property’s officially recognized Plot Plan or Parcel Map. 3rd Provide us with a rough sketch and or drawing of your initial ideas. After receiving your fee retainer and requested information, we can proceed with preparing your Preliminary Base Layout (PBL). Depending upon your response time for executing the agreement to proceed with the design and the status of our current work load queue, the PBL will be forwarded to you within (5) five business days for your review. The PBL is our attempt at getting your “Concept” in place, which will represent a true dimensional relevance to the space made available. We typically attempt to get this represented on this preliminary plan prior to scheduling any site meetings, as this can be accomplished by reviewing these efforts on line and then directing us to make a revision as necessary. In taking these steps at preparing we believe it makes a better use of your time and ours, as well as allowing the conceptualization for the placements and dimensional relevance to unfold and evolve more easily on line at your leisure. The PBL is included in the 2% fee structure but, any subsequent revisions are additional. This is why it is important to make any changes to the “PBL Concept” prior to advancing with the design, as compounding layers (P-2, P-3, P-4, etc…) my be added as the design progresses and changes will involve making modifications / changes to multiple layered sheets, which will involve the investment of additional time that wasn’t originally considered. The ABL is the basis from which all additional design layers evolve. Once acceptance is acknowledged the remaining design elements can be produced from this main layout P-1 Sheet and the corresponding layers may exhibit the individual deeper understanding for the “Permit Ready Requirements“. What’s required for a Building Permit…? Not all “P”-Sheets are necessary for acquiring a typical Building Permit, although in some case Owner Builder Assistance may desire the expressions for a deeper understanding in order to become more familiar with the individual trade performer’s responsibilities. The ABL is the basis from which all additional design layers evolve that describe the overall general construction directions. In some jurisdictions this may require structural engineering to accompany submission of the Plan Set. This is on an additional fee basis and is quoted separately according to the project’s structural engineering requirement specifics. Click HERE to review more information about engineering. Base upon the completed ABL, we can provide you with additional information that is not required for gaining a Building Permit but, can provide you with a deeper understanding for how a 1st Class installation is intended to be constructed, should this information be of value? This is on an additional fee basis and is quoted separately according to the project’s equipment and automation sophistication specifics. SHEET P-4: Construction Details (Component specific, ordered separately by clicking HERE) (use your Browser’s back arrow to return to this page). The Final Plan (FP) will be acknowledged as completed upon viewing the ABL. Upon receiving the ABL and confirming acceptance the remaining 50% retainer and any additional 2% value for the ERCV assessments will be paid in full. Payment will authenticate your acceptance and be considered for the purpose of the design agreement, an authorization to proceed with finalizing the plans. See Permit Submission Services for an extension of our services that are offered. The complete set of documents will be made available on a limited “project specific pdf.file. reproduction licensing agreement. If additional printed copies and or permit submission assistance is required please refer to our SDA. Our 2% design fee is based upon our "Bronze" level of response time. If your project requires a faster turnaround time-frame, then an increase fee schedule will involve the following incremental increases; (2.50% = Silver 3.00% = Gold 3.50% = Platinum).